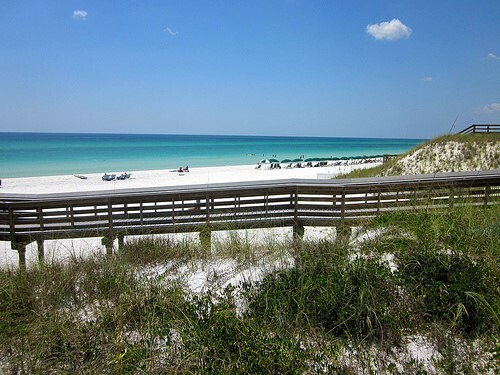 Blue Mountain Beach stands out along 30a with its own naturally laid-back and family friendly style. Named after the native blue lupine flowers and some of the highest dunes on the Gulf Coast,Blue Mountain welcomes some of the most beautiful sunset views along the 30a corridor. The homes range from Lavish Gulf front Mansions to chabby chic beach cottages from the 1960s. If you are looking a a true getaway with quiet beaches, then you should visit Blue Mountain Beach.